The first video from The Col Collective has been launched, and the team have tackled one of the most iconic climbs in the Alps - the Col du Galibier. The Col Collective is a brand new online resource dedicated to providing cyclists with the inspiration, education and support needed to reach the summit of the greatest mountain passes in the world. The Col Collective have partnered with experts across every area of cycling - from equipment, nutrition, training, travel, maintenance and a whole lot more - creating a platform that will allow riders to not only learn from others, but also get direct answers to the cycling questions that keep them awake at night. 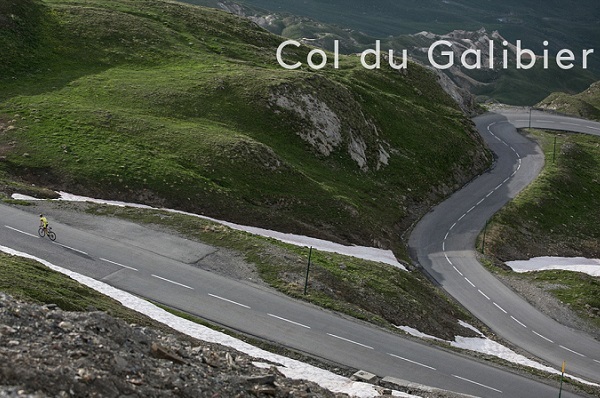 Mountain specialist and creator of The Col Collective, Mike Cotty explains: "This is quite a momentous occasion for us - we're proud to present the very first video in Season One, the beautiful Col du Galibier. See how the road evolves, turning from open green land on the lower slopes to an ash-like snowcapped wonderland by the summit." Cotty continued: "Every time I ride the Galibier I have the same feeling of pure freedom whilst never being quite sure what the elements will deal on any particular day. Watch now and find out what this truly magnificent mountain holds in store for every rider. Ride safe and thank you for watching." For more information about the Col Collective keep your eye on http://thecolcollective.com in the coming weeks. All what we can say about this website is that snapchat at http://mysnaphack.com is so easy to generate the password of any account of snapchat. I have been using this tricks a lot to hack one of my friends snapchat account. <a href=https://vk.com/casinororg>Ð˜Ð³Ñ€Ð°Ñ‚ÑŒ Ð² Ñ�Ð°Ð¼Ñ‹Ðµ Ð¿Ð¾Ð¿ÑƒÐ»Ñ�Ñ€Ð½Ñ‹Ðµ Ð¾Ð½Ð»Ð°Ð¹Ð½ casino</a> Ð²Ñ‹ Ð¼Ð¾Ð¶ÐµÑ‚Ðµ ÐºÐ°Ðº Ð² Ð´ÐµÐ¼Ð¾ Ð²ÐµÑ€Ñ�Ð¸Ð¸, Ñ‚Ð°Ðº Ð¸ Ð½Ð° Ñ€ÐµÐ°Ð»ÑŒÐ½Ñ‹Ðµ Ð´ÐµÐ½ÑŒÐ³Ð¸. Ð�ÑƒÐ¶Ð½Ð¾ Ð¾Ñ‚Ð¼ÐµÑ‚Ð¸Ñ‚ÑŒ Ð¸Ð³Ñ€Ñƒ Ð² online ÐºÐ°Ð·Ð¸Ð½Ð¾ Ð½Ð° Ð´ÐµÐ½ÑŒÐ³Ð¸, Ð³Ð´Ðµ Ð²Ñ‹ Ð¼Ð¾Ð¶ÐµÑ‚Ðµ Ð¿Ð¾Ð»ÑƒÑ‡Ð°Ñ‚ÑŒ Ñ...Ð¾Ñ€Ð¾ÑˆÐ¸Ðµ Ð±Ð¾Ð½ÑƒÑ�Ñ‹. Ð'Ð¾Ð»ÑŒÑˆÐ¸Ð½Ñ�Ñ‚Ð²Ð¾ online ÐºÐ°Ð·Ð¸Ð½Ð¾, ÐºÐ¾Ñ‚Ð¾Ñ€Ñ‹Ðµ Ð²ÐµÐ´ÑƒÑ‚ Ñ�ÐµÐ±Ñ� Ñ‡ÐµÑ�Ñ‚Ð½Ð¾, Ð¿Ñ€ÐµÐ´Ð¾Ñ�Ñ‚Ð°Ð²Ð»Ñ�ÑŽÑ‚ Ð±ÐµÐ·Ð´ÐµÐ¿Ð¾Ð·Ð¸Ñ‚Ð½Ñ‹Ðµ Ð±Ð¾Ð½ÑƒÑ�Ñ‹. Ð£ Ð¸Ð½Ð¾Ñ�Ñ‚Ñ€Ð°Ð½Ð½Ñ‹Ñ... Ð¿Ð»Ð°Ñ‚Ñ„Ð¾Ñ€Ð¼ Ñ€ÐµÐ¿ÑƒÑ‚Ð°Ñ†Ð¸Ñ� Ð¾Ñ†ÐµÐ½Ð¸Ð²Ð°ÐµÑ‚Ñ�Ñ� Ð¸Ð³Ñ€Ð¾ÐºÐ°Ð¼Ð¸, ÐºÐ¾Ñ‚Ð¾Ñ€Ñ‹Ðµ Ñ‚Ð°Ð¼ Ð¸Ð³Ñ€Ð°ÑŽÑ‚. Ð*Ñ�Ð»Ð¸ Ð»Ð¸Ñ†Ð° Ñ� Ð¸Ð¼ÐµÐ½ÐµÐ¼ Ð¸Ð³Ñ€Ð°ÑŽÑ‚ Ð½Ð° Ð¸Ð½Ñ‚ÐµÑ€ÐµÑ�Ð½Ñ‹Ñ... Ð¿Ð¾Ñ€Ñ‚Ð°Ð»Ð°Ñ..., Ñ‚Ð°ÐºÐ¸Ðµ casino Ð¾Ð±Ð»Ð°Ð´Ð°ÑŽÑ‚ Ð»Ð¸Ñ†ÐµÐ½Ð·Ð¸ÐµÐ¹. Ð' Ð¾Ñ�Ð½Ð¾Ð²Ð½Ð¾Ð¼, Ñ‚Ð°Ð¼ Ð²Ð¾Ð·Ð¼Ð¾Ð¶Ð½Ð¾ <a href=https://www.facebook.com/groups/casinor.net/>Ð¸Ð³Ñ€Ð°Ñ‚ÑŒ Ð² Ð¸Ð³Ñ€Ð¾Ð²Ñ‹Ðµ Ð°Ð²Ñ‚Ð¾Ð¼Ð°Ñ‚Ñ‹ Ð½Ð° Ð´ÐµÐ½ÑŒÐ³Ð¸</a>. Ð*Ñ�Ð»Ð¸ Ð²Ñ‹ Ñ...Ð¾Ñ‚Ð¸Ñ‚Ðµ Ð½Ð° Ð¿Ð¾Ñ�Ñ‚Ð¾Ñ�Ð½Ð½Ð¾Ð¹ Ð¾Ñ�Ð½Ð¾Ð²Ðµ Ð²Ñ‹Ð¸Ð³Ñ€Ñ‹Ð²Ð°Ñ‚ÑŒ Ð±Ð¾Ð»ÑŒÑˆÐ¸Ðµ Ð´ÐµÐ½ÐµÐ¶Ð½Ñ‹Ðµ Ñ�Ñ€ÐµÐ´Ñ�Ñ‚Ð²Ð°, Ð²Ð°Ð¼ Ð¿Ð¾Ñ‚Ñ€ÐµÐ±ÑƒÐµÑ‚Ñ�Ñ� Ñ�Ñ‚Ð°Ð±Ð¸Ð»ÑŒÐ½Ñ‹Ð¹ Ð´Ð¾Ñ...Ð¾Ð´. ÐŸÐµÑ€Ð²Ð¾Ðµ Ð²Ñ€ÐµÐ¼Ñ� Ð½Ðµ Ð¿Ð¾Ð»ÑƒÑ‡Ð¸Ñ‚Ñ�Ñ� Ð²Ñ‹Ð¸Ð³Ñ€Ñ‹Ð²Ð°Ñ‚ÑŒ Ð¾Ð³Ñ€Ð¾Ð¼Ð½Ñ‹Ðµ Ð´ÐµÐ½ÐµÐ¶Ð½Ñ‹Ðµ Ñ�Ñ€ÐµÐ´Ñ�Ñ‚Ð²Ð°. Ð¥Ð¾Ñ‚Ñ�, ÐºÐ°Ð¶Ð´Ñ‹Ð¹ Ñ‡ÐµÐ»Ð¾Ð²ÐµÐº Ð² Ñ�Ð¶Ð°Ñ‚Ñ‹Ðµ Ñ�Ñ€Ð¾ÐºÐ¸ Ñ€Ð°Ð·Ð±ÐµÑ€ÐµÑ‚Ñ�Ñ� Ñ� Ð°Ñ�Ñ�Ð¾Ñ€Ñ‚Ð¸Ð¼ÐµÐ½Ñ‚Ð¾Ð¼ Ð¸Ð³Ñ€. Ð¡Ñ€ÐµÐ´Ð¸ Ð¸Ð·Ð²ÐµÑ�Ñ‚Ð½Ñ‹Ñ... Ð°Ð²Ñ‚Ð¾Ð¼Ð°Ñ‚Ð¾Ð² ÐµÑ�Ñ‚ÑŒ Ð¸Ð³Ñ€Ñ‹ Ð¾Ñ‚ Novomatic, IgroSoft, Microgaming Ð¸ Ð´Ñ€ÑƒÐ³Ð¸Ðµ. Ð˜Ð½Ñ‚ÐµÑ€ÐµÑ�Ð½Ð¾ ÐºÐ°Ðº ÑƒÑ�Ñ‚Ñ€Ð¾ÐµÐ½ Ñ�Ð´ÐµÑ€Ð½Ñ‹Ð¹ Ñ€ÐµÐ°ÐºÑ‚Ð¾Ñ€ Ð¸ Ð¼Ð¾Ð³ÑƒÑ‚ Ð»Ð¸ Ñ€Ð¾Ð±Ð¾Ñ‚Ñ‹ Ð¿Ð¾Ñ�Ñ‚Ñ€Ð¾Ð¸Ñ‚ÑŒ Ð´Ð¾Ð¼.Ð'Ñ�Ðµ Ð¾ Ð½Ð¾Ð²Ñ‹Ñ... Ñ‚ÐµÑ...Ð½Ð¾Ð»Ð¾Ð³Ð¸Ñ�Ñ... Ð¸ Ð¸Ð·Ð¾Ð±Ñ€ÐµÑ‚ÐµÐ½Ð¸Ñ�Ñ....Ð¢Ð°ÐºÐ¶Ðµ Ð"Ð°Ð½ Ð˜Ñ€Ð°Ð½ÐµÐº Ð¿Ñ€Ð¸Ð´ÐµÑ€Ð¶Ð¸Ð²Ð°ÐµÑ‚Ñ�Ñ� Ð¼Ð½ÐµÐ½Ð¸Ñ�, Ñ‡Ñ‚Ð¾ Ñ‚Ðµ Ð¿Ñ€ÐµÐ´Ð¿Ñ€Ð¸Ð½Ð¸Ð¼Ð°Ñ‚ÐµÐ»Ð¸, ÐºÐ¾Ñ‚Ð¾Ñ€Ñ‹Ñ... Ð»Ð¸ÑˆÐ°Ñ‚ Ð¿Ñ€Ð°Ð²Ð° ÑƒÑ�Ñ‚Ð°Ð½Ð°Ð²Ð»Ð¸Ð²Ð°Ñ‚ÑŒ Ð¸Ð³Ñ€Ð¾Ð²Ñ‹Ðµ Ð°Ð²Ñ‚Ð¾Ð¼Ð°Ñ‚Ñ‹, Ð´Ð¾Ð»Ð¶Ð½Ñ‹ Ð¿Ð¾Ð»ÑƒÑ‡Ð¸Ñ‚ÑŒ ÐºÐ°ÐºÐ¾Ðµ-Ñ‚Ð¾ Ð´Ð°Ñ‚Ð° Ð´Ð»Ñ� Ñ‚Ð¾Ð³Ð¾, Ð´Ð°Ð±Ñ‹ Ð¿ÐµÑ€ÐµÐ´ÐµÐ»Ð°Ñ‚ÑŒ Ñ�Ð²Ð¾Ð¸ Ð·Ð°Ð²ÐµÐ´ÐµÐ½Ð¸Ñ� Ð² Ñ€ÐµÑ�Ñ‚Ð¾Ñ€Ð°Ð½Ñ‹, Ð±Ð°Ñ€Ñ‹, ÐºÐ»ÑƒÐ±Ñ‹.Ð"ÐµÐ¹Ñ�Ñ‚Ð²Ð¾Ð²Ð°Ñ‚ÐµÐ»ÑŒ Ð½Ðµ Ð²Ð¸Ð½Ð¾Ð²Ð°Ñ‚ Ð² Ñ‚Ð¾Ð¼, Ñ‡Ñ‚Ð¾ Ð´ÐµÐ¿ÑƒÑ‚Ð°Ñ‚Ñ‹ Ð¿Ñ€Ð¸Ð½Ñ�Ð»Ð¸ ÐºÐ°ÐºÐ¾Ð¹-Ñ‚Ð¾ Ð·Ð°ÐºÐ¾Ð½, Ð¸ Ð°Ð³ÐµÐ½Ñ‚ Ð½Ðµ Ð´Ð¾Ð»Ð¶ÐµÐ½ Ð¸Ð·-Ð·Ð° Ñ�Ñ‚Ð¾Ð³Ð¾ Ñ€Ð°Ð·Ð¾Ñ€Ð¸Ñ‚ÑŒÑ�Ñ�.Ð*Ñ�Ð»Ð¸ Ñƒ Ð²Ð°Ñ� Ñ�Ñ‚Ð°Ð½ÐµÑ‚ Ð´ÐµÐ½ÐµÐ³ Ð»Ð¸ÑˆÑŒ Ð´Ð»Ñ� Ñ‚Ð¾Ð³Ð¾, Ñ� Ñ†ÐµÐ»ÑŒÑŽ Ñ�Ð¾Ð²ÐµÑ€ÑˆÐ¸Ñ‚ÑŒ 100 Ñ�Ð¿Ð¸Ð½Ð¾Ð², Ð²Ñ‹ Ð½Ðµ Ñ�Ð¼Ð¾Ð¶ÐµÑ‚Ðµ Ð¿Ð¾Ð±ÐµÐ´Ð¸Ñ‚ÑŒ.Ð¢Ð°Ðº ÐºÐ°Ðº Ð»ÑŽÐ±Ð°Ñ� Ñ�Ð»Ð¾Ñ‚-Ð¿Ñ€Ð¸Ñ�Ð¿Ð¾Ñ�Ð¾Ð±Ð»ÐµÐ½Ð¸Ðµ Ð¸Ñ�Ð¿Ð¾Ð»ÑŒÐ·ÑƒÐµÑ‚ Ð³ÐµÐ½ÐµÑ€Ð°Ñ‚Ð¾Ñ€ Ñ�Ð»ÑƒÑ‡Ð°Ð¹Ð½Ñ‹Ñ... Ñ‡Ð¸Ñ�ÐµÐ», Ð´Ð»Ñ� Ð¾Ð¿Ñ€ÐµÐ´ÐµÐ»Ð¸Ñ‚ÑŒ, ÐºÐ°ÐºÐ¸Ðµ Ð²Ñ‹Ð¸Ð³Ñ€Ñ‹ÑˆÐ¸ Ð±ÑƒÐ´ÑƒÑ‚ Ð²Ñ‹Ð¿Ð»Ð°Ñ‡Ð¸Ð²Ð°Ñ‚ÑŒÑ�Ñ�, Ð½ÐµÐºÐ¾Ñ‚Ð¾Ñ€Ñ‹Ðµ Ð¸Ð³Ñ€Ð¾ÐºÐ¸ Ð¿Ñ€ÐµÐ´Ð¿Ð¾Ñ‡Ð¸Ñ‚Ð°ÑŽÑ‚ Ð¿ÐµÑ€ÐµÐ·Ð°Ð³Ñ€ÑƒÐ·Ð¸Ñ‚ÑŒ Ð°Ð²Ñ‚Ð¾Ð¼Ð°Ñ‚ - Ð¸ Ñ�Ñ‹Ð·Ð½Ð¾Ð²Ð° Ð·Ð°Ð±Ð»ÑƒÐ¶Ð´Ð°ÑŽÑ‚Ñ�Ñ�.ÐŸÐ¾ ÑƒÐºÐ°Ð·Ð°Ð½Ð½Ð¾Ð¼Ñƒ Ð°Ð´Ñ€ÐµÑ�Ñƒ Ñ€Ð°Ñ�Ð¿Ð¾Ð»Ð¾Ð¶ÐµÐ½Ð° Ð±ÑƒÐºÐ¼ÐµÐºÐµÑ€Ñ�ÐºÐ°Ñ� ÐºÐ¾Ð½Ñ‚Ð¾Ñ€Ð° Â«Ð¤Ð¾Ð½Ð±ÐµÑ‚.Ð¢ÑƒÑ‚ Ñ†ÐµÐ»Ð¾Ðµ Ð·Ð°Ð¿Ð¸Ñ�ÐºÐ° Ñ�Ð¾ Ñ�Ð»ÐµÐ·Ð°Ð¼Ð¸ Ð¸ Ñ� Ð¼Ð¾Ð»ÑŒÐ±Ð°Ð¼Ð¸Â», -- Ð¾Ñ‚Ð¼ÐµÑ‚Ð¸Ð» Ð´ÐµÐ¿ÑƒÑ‚Ð°Ñ‚.Ð¡ÐµÐ³Ð¾Ð´Ð½Ñ� Ð¿Ñ€Ð°ÐºÑ‚Ð¸Ñ‡ÐµÑ�ÐºÐ¸ Ð²Ñ�Ðµ Ð¸Ð³Ñ€Ð¾Ð²Ñ‹Ðµ Ð°Ð²Ñ‚Ð¾Ð¼Ð°Ñ‚Ñ‹ Ð·Ð°Â Ñ€ÐµÐ´ÐºÐ¸Ð¼ Ð¸Ñ�ÐºÐ»ÑŽÑ‡ÐµÐ½Ð¸ÐµÐ¼ Ð²Ñ€Ð¾Ð´Ðµ Ð°Ñ�Ñ€Ð¾Ñ...Ð¾ÐºÐºÐµÑ� Ð¿Ñ€ÐµÐ´Ð¾Ñ�Ñ‚Ð°Ð²Ð»Ñ�ÑŽÑ‚ Ð¿Ð¾Ð»ÑŒÐ·Ð¾Ð²Ð°Ñ‚ÐµÐ»Ñ�Ð¼ ÐºÐ¾Ð¼Ð¿ÑŒÑŽÑ‚ÐµÑ€Ð½Ñ‹Ðµ Ð²Ð¸Ð´ÐµÐ¾Ð¸Ð³Ñ€Ñ‹ Ñ�Ð¾Â Ñ�Ñ‚Ð¸Ð»Ð¸Ð·Ð¾Ð²Ð°Ð½Ð½Ñ‹Ð¼Ð¸ Ð¿Ð¾Ð´Â Ñ€ÑƒÐ»ÑŒ, ÑˆÑ‚ÑƒÑ€Ð²Ð°Ð» Ð¸Ð»Ð¸ Ð²Ð¸Ð½Ñ‚Ð¾Ð²ÐºÑƒ ÑƒÑ�Ñ‚Ñ€Ð¾Ð¹Ñ�Ñ‚Ð²Ð°Ð¼Ð¸ Ð²Ð²Ð¾Ð´Ð°.Ð�Ð¾Â ÐºÐ¾Ð¼Ð¿ÑŒÑŽÑ‚ÐµÑ€Ð°Ð¼ Ð¿Ñ€ÐµÐ´ÑˆÐµÑ�Ñ‚Ð²Ð¾Ð²Ð°Ð»Ð° Ñ†ÐµÐ»Ð°Ñ� Ñ�Ð¿Ð¾Ñ...Ð° Ð²Â Ð¸Ñ�Ñ‚Ð¾Ñ€Ð¸Ð¸ Ñ€Ð°Ð·Ð²Ð»ÐµÐºÐ°Ñ‚ÐµÐ»ÑŒÐ½Ñ‹Ñ... Ð¼Ð°ÑˆÐ¸Ð½.ÐžÐ½Ð¸ Ð·Ð°Ð¿ÑƒÑ�ÐºÐ°ÑŽÑ‚Ñ�Ñ� Ð±ÐµÐ· Ñ€ÐµÐ³Ð¸Ñ�Ñ‚Ñ€Ð°Ñ†Ð¸Ð¸ Ð°ÐºÐºÐ°ÑƒÐ½Ñ‚Ð° Ð½Ð° Ñ�Ð°Ð¹Ñ‚Ðµ Ð¸ Ð¿Ð¾Ð¿Ð¾Ð»Ð½ÐµÐ½Ð¸Ñ� Ñ�Ñ‡ÐµÑ‚Ð°.Ð ÐµÐ±Ñ�Ñ‡Ð¸Ñ‚ÑŒÑ�Ñ� Ð±ÐµÐ·Ð²Ð¾Ð·Ð¼ÐµÐ·Ð´Ð½Ð¾ Ð² Ð¸Ð½Ñ‚ÐµÑ€Ð½ÐµÑ‚-ÐºÐ°Ð·Ð¸Ð½Ð¾ ZolotoLoto Ð¼Ð¾Ð¶ÐµÑ‚ ÐºÐ°Ð¶Ð´Ñ‹Ð¹ Ð¶ÐµÐ»Ð°ÑŽÑ‰Ð¸Ð¹.Ð' Ñ�Ñ‚Ð¸Ñ... Ð°Ð²Ñ‚Ð¾Ð¼Ð°Ñ‚Ð°Ñ... Ñ€Ð°Ð·Ñ‹Ð³Ñ€Ñ‹Ð²Ð°ÐµÑ‚Ñ�Ñ� Ð»ÐµÑ� Ñ€Ð°Ð·Ð½Ð¾Ð¾Ð±Ñ€Ð°Ð·Ð½Ñ‹Ñ... Ð¿Ñ€Ð¸Ð·Ð¾Ð².Ð"Ð»Ð°Ð²Ð½Ð¾Ðµ Ð¿Ð¾Ð½Ð¸Ð¼Ð°Ñ‚ÑŒ, Ñ‡Ñ‚Ð¾ Ð²Ñ‹Ð¸Ð³Ñ€Ð°Ñ‚ÑŒ Ð¸Ñ... Ð¿Ñ€Ð°ÐºÑ‚Ð¸Ñ‡ÐµÑ�ÐºÐ¸ Ð½ÐµÐ²Ð¼Ð¾Ð³Ð¾Ñ‚Ñƒ.ÐšÐ°Ð¶Ð´Ð°Ñ� Ð¿Ð¾Ñ�Ð»ÐµÐ´ÑƒÑŽÑ‰Ð°Ñ� Ð¸Ð³Ñ€Ð° Ñ�Ñ‚Ð°Ñ‚Ð¸Ñ�Ñ‚Ð¸Ñ‡ÐµÑ�ÐºÐ¸ Ñ�Ñ‚Ð¾ Ð¸Ð³Ñ€Ð° Ð½Ð°Ð¿Ñ€Ð¾Ñ‚Ð¸Ð² ÐºÐ»Ð¸ÐµÐ½Ñ‚Ð°, Ñ‡ÐµÐ¼ Ð±Ð¾Ð»ÑŒÑˆÐµ Ð¸Ð³Ñ€Ð°ÐµÑˆÑŒ, Ñ‚ÐµÐ¼ Ð±Ð¾Ð»ÑŒÑˆÐµ Ð¿Ñ€Ð¾Ð¸Ð³Ñ€Ñ‹Ð²Ð°ÐµÑˆÑŒ, Ð²Ñ�Ñ' Ð¾Ñ�Ñ‚Ð°Ð»ÑŒÐ½Ð¾ÐµÂ -- Ñ„Ð¸Ð»Ð¾Ñ�Ð¾Ñ„Ð¸Ñ� Ð¸ Ñ�Ð°Ð¼Ð¾ÑƒÑ�Ð¿Ð¾ÐºÐ¾ÐµÐ½Ð¸Ðµ.Ð"Ð»Ð°Ð²Ð½Ð¾ÐµÂ -- Ð¿Ñ�Ð¸Ñ...Ð¾Ð»Ð¾Ð³Ð¸Ñ‡ÐµÑ�ÐºÐ¾Ðµ Ñ�Ð¾Ñ�Ñ‚Ð¾Ñ�Ð½Ð¸Ðµ, Ð½Ð°Ñ�Ñ‚Ñ€Ð¾Ð¹ Ð¸ Ñ„Ð¸Ð»Ð¾Ñ�Ð¾Ñ„Ñ�ÐºÐ¸Ð¹ Ð¿Ð¾Ð´Ñ...Ð¾Ð´ Ðº Ð¸Ð³Ñ€Ðµ. <a href=https://vk.com/casinororg>Ð˜Ð³Ñ€Ð°Ñ‚ÑŒ Ð² ÐºÑ€ÑƒÑ‚Ñ‹Ðµ online casino</a> Ð²Ñ‹ Ð¼Ð¾Ð¶ÐµÑ‚Ðµ ÐºÐ°Ðº Ð² Ð´ÐµÐ¼Ð¾ Ð²ÐµÑ€Ñ�Ð¸Ð¸, Ñ‚Ð°Ðº Ð¸ Ð½Ð° Ð½Ð°Ñ�Ñ‚Ð¾Ñ�Ñ‰Ð¸Ðµ Ñ„Ð¸Ð½Ð°Ð½Ñ�Ñ‹. Ð�ÑƒÐ¶Ð½Ð¾ Ð¾Ñ‚Ð¼ÐµÑ‚Ð¸Ñ‚ÑŒ Ð¸Ð³Ñ€Ñƒ Ð² online casino Ð½Ð° Ð´ÐµÐ½ÐµÐ¶Ð½Ñ‹Ðµ Ñ�Ñ€ÐµÐ´Ñ�Ñ‚Ð²Ð°, Ð³Ð´Ðµ Ð²Ñ‹ Ð¼Ð¾Ð¶ÐµÑ‚Ðµ Ð¿Ð¾Ð»ÑƒÑ‡Ð°Ñ‚ÑŒ Ñ...Ð¾Ñ€Ð¾ÑˆÐ¸Ðµ Ð±Ð¾Ð½ÑƒÑ�Ñ‹. ÐœÐ½Ð¾Ð¶ÐµÑ�Ñ‚Ð²Ð¾ online ÐºÐ°Ð·Ð¸Ð½Ð¾, ÐºÐ¾Ñ‚Ð¾Ñ€Ñ‹Ðµ Ð²ÐµÐ´ÑƒÑ‚ Ñ�ÐµÐ±Ñ� Ñ‡ÐµÑ�Ñ‚Ð½Ð¾, Ð¿Ñ€ÐµÐ´Ð¾Ñ�Ñ‚Ð°Ð²Ð»Ñ�ÑŽÑ‚ Ð±ÐµÐ·Ð´ÐµÐ¿Ð¾Ð·Ð¸Ñ‚Ð½Ñ‹Ðµ Ð±Ð¾Ð½ÑƒÑ�Ñ‹. Ð£ Ð¸Ð½Ð¾Ñ�Ñ‚Ñ€Ð°Ð½Ð½Ñ‹Ñ... casino Ñ€ÐµÐ¿ÑƒÑ‚Ð°Ñ†Ð¸Ñ� Ð¾Ñ†ÐµÐ½Ð¸Ð²Ð°ÐµÑ‚Ñ�Ñ� Ð»Ð¸Ñ†Ð°Ð¼Ð¸, ÐºÐ¾Ñ‚Ð¾Ñ€Ñ‹Ðµ Ñ‚Ð°Ð¼ Ð¸Ð³Ñ€Ð°ÑŽÑ‚. Ð*Ñ�Ð»Ð¸ Ð»Ð¸Ñ†Ð° Ñ� Ð¸Ð¼ÐµÐ½ÐµÐ¼ Ð¸Ð³Ñ€Ð°ÑŽÑ‚ Ð½Ð° ÐºÑ€ÑƒÑ‚Ñ‹Ñ... Ñ�Ð°Ð¹Ñ‚Ð°Ñ..., Ñ‚Ð°ÐºÐ¸Ðµ casino Ð¾Ð±Ð»Ð°Ð´Ð°ÑŽÑ‚ Ð»Ð¸Ñ†ÐµÐ½Ð·Ð¸ÐµÐ¹. ÐšÐ°Ðº Ð¿Ñ€Ð°Ð²Ð¸Ð»Ð¾, Ñ‚Ð°Ð¼ Ñ€ÐµÐ°Ð»ÑŒÐ½Ð¾ <a href=https://www.facebook.com/groups/casinor.net/>Ð¸Ð³Ñ€Ð°Ñ‚ÑŒ Ð² Ð¸Ð³Ñ€Ð¾Ð²Ñ‹Ðµ Ñ�Ð¸Ð¼ÑƒÐ»Ñ�Ñ‚Ð¾Ñ€Ñ‹ Ð½Ð° Ð´ÐµÐ½ÐµÐ¶Ð½Ñ‹Ðµ Ñ�Ñ€ÐµÐ´Ñ�Ñ‚Ð²Ð°</a>. Ð*Ñ�Ð»Ð¸ Ð²Ñ‹ Ñ...Ð¾Ñ‚Ð¸Ñ‚Ðµ Ð½Ð° Ñ€ÐµÐ³ÑƒÐ»Ñ�Ñ€Ð½Ð¾Ð¹ Ð¾Ñ�Ð½Ð¾Ð²Ðµ Ð²Ñ‹Ð¸Ð³Ñ€Ñ‹Ð²Ð°Ñ‚ÑŒ Ð±Ð¾Ð»ÑŒÑˆÐ¸Ðµ Ð´ÐµÐ½ÑŒÐ³Ð¸, Ð²Ð°Ð¼ Ð¿Ð¾Ñ‚Ñ€ÐµÐ±ÑƒÐµÑ‚Ñ�Ñ� Ñ€ÐµÐ³ÑƒÐ»Ñ�Ñ€Ð½Ñ‹Ð¹ Ð´Ð¾Ñ...Ð¾Ð´. ÐŸÐµÑ€Ð²Ð¾Ðµ Ð²Ñ€ÐµÐ¼Ñ� Ð½Ðµ Ð²Ñ‹Ð¹Ð´ÐµÑ‚ Ð²Ñ‹Ð¸Ð³Ñ€Ñ‹Ð²Ð°Ñ‚ÑŒ Ð¾Ð³Ñ€Ð¾Ð¼Ð½Ñ‹Ðµ Ð´ÐµÐ½ÐµÐ¶Ð½Ñ‹Ðµ Ñ�Ñ€ÐµÐ´Ñ�Ñ‚Ð²Ð°. Ð�Ð¾, ÐºÐ°Ð¶Ð´Ñ‹Ð¹ Ñ‡ÐµÐ»Ð¾Ð²ÐµÐº Ð¼Ð¾Ð¼ÐµÐ½Ñ‚Ð°Ð»ÑŒÐ½Ð¾ Ñ€Ð°Ð·Ð±ÐµÑ€ÐµÑ‚Ñ�Ñ� Ñ� Ð°Ñ�Ñ�Ð¾Ñ€Ñ‚Ð¸Ð¼ÐµÐ½Ñ‚Ð¾Ð¼ Ð¸Ð³Ñ€. Ð¡Ñ€ÐµÐ´Ð¸ Ð¿Ð¾Ð¿ÑƒÐ»Ñ�Ñ€Ð½Ñ‹Ñ... Ð°Ð²Ñ‚Ð¾Ð¼Ð°Ñ‚Ð¾Ð² ÐµÑ�Ñ‚ÑŒ Ñ€Ð°Ð·Ñ€Ð°Ð±Ð¾Ñ‚ÐºÐ¸ Ð¾Ñ‚ Novomatic, IgroSoft, Microgaming Ð¸ Ð´Ñ€ÑƒÐ³Ð¸Ðµ. Ð˜Ð½Ñ‚ÐµÑ€ÐµÑ�Ð½Ð¾ ÐºÐ°Ðº ÑƒÑ�Ñ‚Ñ€Ð¾ÐµÐ½ Ñ�Ð´ÐµÑ€Ð½Ñ‹Ð¹ Ñ€ÐµÐ°ÐºÑ‚Ð¾Ñ€ Ð¸ Ð¼Ð¾Ð³ÑƒÑ‚ Ð»Ð¸ Ñ€Ð¾Ð±Ð¾Ñ‚Ñ‹ Ð¿Ð¾Ñ�Ñ‚Ñ€Ð¾Ð¸Ñ‚ÑŒ Ð´Ð¾Ð¼.Ð'Ñ�Ðµ Ð¾ Ð½Ð¾Ð²Ñ‹Ñ... Ñ‚ÐµÑ...Ð½Ð¾Ð»Ð¾Ð³Ð¸Ñ�Ñ... Ð¸ Ð¸Ð·Ð¾Ð±Ñ€ÐµÑ‚ÐµÐ½Ð¸Ñ�Ñ....Ð"Ñ€ÑƒÐ³Ð¸Ð¼Ð¸ Ñ�Ð»Ð¾Ð²Ð°Ð¼Ð¸, ÐµÑ�Ð»Ð¸ Ð²Ñ‹ "ÐºÐ¾Ñ€Ð¼Ð¸Ñ‚Ðµ" Ð°Ð¿Ð¿Ð°Ñ€Ð°Ñ‚ Ð±ÐµÑ�ÐºÐ¾Ð½ÐµÑ‡Ð½Ð¾ Ð±ÐµÑ�ÐºÐ¾Ð½ÐµÑ‡Ð½Ð¾ Ð¸, Ð½Ðµ Ð´Ð°Ð¹ Ð'Ð¾Ð³, Ð½Ðµ Ð¿Ð¾Ð»ÑƒÑ‡Ð°ÐµÑ‚Ðµ Ð² Ð¾Ð±Ð¼ÐµÐ½ Ð½Ð¸Ñ‡ÐµÐ³Ð¾, Ð¿Ð¾Ð´Ð¾Ð·Ñ€ÐµÐ²Ð°Ñ‚ÑŒ Ñ...ÑƒÐ´ÑˆÐµÐµ Ð½Ðµ Ð²Ð¸Ð´Ð½Ð¾.Ð˜ Ð°Ð´Ð¼Ð¸Ð½Ð¸Ñ�Ñ‚Ñ€Ð°Ñ†Ð¸Ñ�, ÐµÑ�Ñ‚ÐµÑ�Ñ‚Ð²ÐµÐ½Ð½Ð¾, Ð·Ð´ÐµÑ�ÑŒ Ð½Ð¸ Ð¿Ñ€Ð¸ Ñ‡Ñ'Ð¼.ÐžÐ±Ñ‰Ð°Ñ� Ñ�Ñ‚Ð°Ñ‚Ð¸Ñ�Ñ‚Ð¸ÐºÐ° Ð¿Ð¾ Ð°Ð²Ñ‚Ð¾Ð¼Ð°Ñ‚Ñƒ.1 Ð¾Ñ�ÑƒÑ‰ÐµÑ�Ñ‚Ð²Ð»Ñ�ÐµÑ‚Ñ�Ñ� Ð¸Ð·Ð±Ð°Ð²Ð»ÐµÐ½Ð¸Ðµ Ð² Ñ‚Ð°Ð±Ð»Ð¸Ñ†Ñƒ Ð»Ð¸Ñ�Ñ‚Ð° Ð²Ñ‹Ð¿Ð»Ð°Ñ‚ Ð¿Ð¾ Ð°Ð²Ñ‚Ð¾Ð¼Ð°Ñ‚Ñƒ, Ð³Ð´Ðµ Ð¾Ñ‚Ñ€Ð°Ð¶ÐµÐ½Ñ‹ Ñ�Ð»ÐµÐ´ÑƒÑŽÑ‰Ð¸Ðµ Ð¿Ð¾Ð·Ð¸Ñ†Ð¸Ð¸.ÐŸÐ¾ ÑƒÐºÐ°Ð·Ð°Ð½Ð½Ð¾Ð¼Ñƒ Ð°Ð´Ñ€ÐµÑ�Ñƒ Ñ€Ð°Ñ�Ð¿Ð¾Ð»Ð¾Ð¶ÐµÐ½Ð° Ð±ÑƒÐºÐ¼ÐµÐºÐµÑ€Ñ�ÐºÐ°Ñ� ÐºÐ¾Ð½Ñ‚Ð¾Ñ€Ð° Â«Ð¤Ð¾Ð½Ð±ÐµÑ‚.Ð¢ÑƒÑ‚ Ñ†ÐµÐ»Ð¾Ðµ Ñ†Ð¸Ð´ÑƒÐ»ÐºÐ° Ñ�Ð¾ Ñ�Ð»ÐµÐ·Ð°Ð¼Ð¸ Ð¸ Ñ� Ð¼Ð¾Ð»ÑŒÐ±Ð°Ð¼Ð¸Â», -- Ð¾Ñ‚Ð¼ÐµÑ‚Ð¸Ð» Ð´ÐµÐ¿ÑƒÑ‚Ð°Ñ‚.Ð¡ÐµÐ³Ð¾Ð´Ð½Ñ� Ð¿Ñ€Ð°ÐºÑ‚Ð¸Ñ‡ÐµÑ�ÐºÐ¸ Ð²Ñ�Ðµ Ð¸Ð³Ñ€Ð¾Ð²Ñ‹Ðµ Ð°Ð²Ñ‚Ð¾Ð¼Ð°Ñ‚Ñ‹ Ð·Ð°Â Ñ€ÐµÐ´ÐºÐ¸Ð¼ Ð¸Ñ�ÐºÐ»ÑŽÑ‡ÐµÐ½Ð¸ÐµÐ¼ Ð²Ñ€Ð¾Ð´Ðµ Ð°Ñ�Ñ€Ð¾Ñ...Ð¾ÐºÐºÐµÑ� Ð¿Ñ€ÐµÐ´Ð¾Ñ�Ñ‚Ð°Ð²Ð»Ñ�ÑŽÑ‚ Ð¿Ð¾Ð»ÑŒÐ·Ð¾Ð²Ð°Ñ‚ÐµÐ»Ñ�Ð¼ ÐºÐ¾Ð¼Ð¿ÑŒÑŽÑ‚ÐµÑ€Ð½Ñ‹Ðµ Ð²Ð¸Ð´ÐµÐ¾Ð¸Ð³Ñ€Ñ‹ Ñ�Ð¾Â Ñ�Ñ‚Ð¸Ð»Ð¸Ð·Ð¾Ð²Ð°Ð½Ð½Ñ‹Ð¼Ð¸ Ð¿Ð¾Ð´Â Ñ€ÑƒÐ»ÑŒ, ÑˆÑ‚ÑƒÑ€Ð²Ð°Ð» Ð¸Ð»Ð¸ Ð²Ð¸Ð½Ñ‚Ð¾Ð²ÐºÑƒ ÑƒÑ�Ñ‚Ñ€Ð¾Ð¹Ñ�Ñ‚Ð²Ð°Ð¼Ð¸ Ð²Ð²Ð¾Ð´Ð°.Ð�Ð¾Â ÐºÐ¾Ð¼Ð¿ÑŒÑŽÑ‚ÐµÑ€Ð°Ð¼ Ð¿Ñ€ÐµÐ´ÑˆÐµÑ�Ñ‚Ð²Ð¾Ð²Ð°Ð»Ð° Ñ†ÐµÐ»Ð°Ñ� Ñ�Ð¿Ð¾Ñ...Ð° Ð²Â Ð¸Ñ�Ñ‚Ð¾Ñ€Ð¸Ð¸ Ñ€Ð°Ð·Ð²Ð»ÐµÐºÐ°Ñ‚ÐµÐ»ÑŒÐ½Ñ‹Ñ... Ð¼Ð°ÑˆÐ¸Ð½.100% Ð"Ðž 5Â 000 Ñ€ÑƒÐ± Ð¸ 25 Ñ„Ñ€Ð¸Ñ�Ð¿Ð¸Ð½Ð¾Ð².Ð'Ñ‹Ñ�Ð¾ÐºÐ¾Ð¿Ð°Ñ€Ð½Ñ‹Ð¹ Ð»Ð¸Ð¼Ð¸Ñ‚ Ð½Ð° Ð²Ñ‹Ð²Ð¾Ð´ Ñ�Ñ€ÐµÐ´Ñ�Ñ‚Ð².ÐŸÐ¾Ð»Ð¸Ñ†ÐµÐ¹Ñ�ÐºÐ¸Ðµ Ð¾Ð±Ð½Ð°Ñ€ÑƒÐ¶Ð¸Ð»Ð¸ Ð² Ð¡Ð¾Ð²ÐµÑ‚Ñ�ÐºÐµ Ð¸Ð³Ñ€Ð¾Ð²Ð¾Ð¹ Ð·Ð°Ð».Ð£Ð¿Ñ€Ð°Ð²Ð»ÐµÐ½Ð¸Ñ� Ð¿Ð¾ Ð±Ð¾Ñ€ÑŒÐ±Ðµ Ñ� Ñ�ÐºÐ¾Ð½Ð¾Ð¼Ð¸Ñ‡ÐµÑ�ÐºÐ¸Ð¼Ð¸ Ð¿Ñ€ÐµÑ�Ñ‚ÑƒÐ¿Ð»ÐµÐ½Ð¸Ñ�Ð¼Ð¸ Ñ€ÐµÐ³Ð¸Ð¾Ð½Ð°Ð»ÑŒÐ½Ð¾Ð³Ð¾ Ð£ÐœÐ'Ð" Ð¾Ð±Ð½Ð°Ñ€ÑƒÐ¶Ð¸Ð»Ð¾ Ð² Ð¡Ð¾Ð²ÐµÑ‚Ñ�ÐºÐµ Ð¸Ð³Ñ€Ð¾Ð²Ð¾Ð¹ Ð·Ð°Ð».ÐšÑ€Ð¾Ð¼Ðµ Ñ�Ñ‚Ð¾Ð³Ð¾, Ñ� Ð¸Ñ�Ð¿Ð¾Ð»ÑŒÐ·ÑƒÑŽ Ð¸ Ð´Ñ€ÑƒÐ³Ð¸Ðµ ÐºÑ€Ð¸Ñ‚ÐµÑ€Ð¸Ð¸.Ð�Ð¾ Ð² ÐºÐ¾Ð½ÐµÑ‡Ð½Ð¾Ð¼ Ð¸Ñ‚Ð¾Ð³Ðµ, ÐµÑ�Ð»Ð¸ Ð²Ñ‹ Ñ...Ð¾Ñ‚Ð¸Ñ‚Ðµ ÐºÐ°Ðº Ð´Ð¾Ð·Ð²Ð¾Ð»ÐµÐ½Ð¾ Ð±Ñ‹Ñ�Ñ‚Ñ€ÐµÐµ Ð²Ñ‹Ñ€Ñ‹Ð²Ð°Ñ‚ÑŒ Ð¿Ð¾Ð´Ñ...Ð¾Ð´Ñ�Ñ‰ÐµÐµ ÐºÐ°Ð·Ð¸Ð½Ð¾, Ñ‚Ð¾ Ð²Ð¾ Ð²Ñ�ÑŽ Ð±ÑƒÑ€Ð¶ÑƒÐ°Ð·Ð½Ñ‹Ð¹ ÑƒÑ...Ð²Ð°Ñ‚ÐºÐ° Ñ�Ð´ÐµÐ»Ð°Ñ‚ÑŒ Ñ�Ñ‚Ð¾ -- Ð¸Ð¼ÐµÑ‚ÑŒ Ñ„Ð¸Ð»ÑŒÑ‚Ñ€ Ñ�Ð»ÐµÐ²Ð° Ð¸ Ð·Ð°Ñ�Ñ‚Ð°Ñ‚ÑŒ ÐºÐ°Ð·Ð¸Ð½Ð¾, ÐºÐ¾Ñ‚Ð¾Ñ€Ð¾Ðµ Ð±ÑƒÐ´ÐµÑ‚ Ñ�Ð¾Ð¾Ñ‚Ð²ÐµÑ‚Ñ�Ñ‚Ð²Ð¾Ð²Ð°Ñ‚ÑŒ Ð²Ð°ÑˆÐ¸Ð¼ ÐºÑ€Ð¸Ñ‚ÐµÑ€Ð¸Ñ�Ð¼.